QMobile QInfinity Prime	No ratings yet. QMobile Noir Z10	No ratings yet. QMobile Noir A6	No ratings yet. QMobile Noir X1S	No ratings yet. QMobile Noir CS1 Plus	No ratings yet. QMobile King Kong Max	No ratings yet. QMobile Noir J7	No ratings yet. QMobile Noir LT700 Pro	No ratings yet. 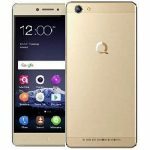 QMobile Noir E3 Dual	No ratings yet. QMobile Noir E2	No ratings yet. QMobile CS1	No ratings yet. QMobile Noir S15	No ratings yet. QMobile Noir E1	No ratings yet. QMobile Noir S5	No ratings yet. Rivo Phantom PZ20	No ratings yet.